RST steps up services with solutions for mine operations from plant to port. 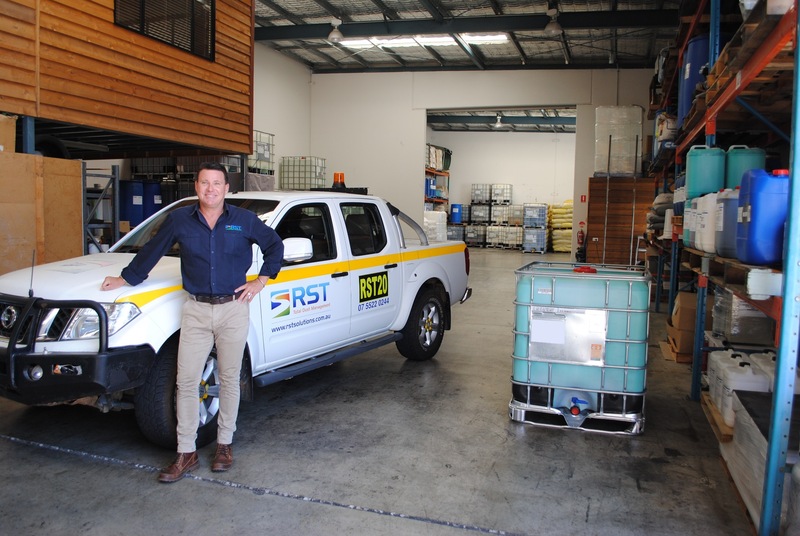 Australian environmental specialist company RST has embarked on an expansion program to comprehensively service the different aspects of mining and quarrying supply chains, with its suite of fine particle management technology supported by customised mechanical equipment. RST offers high-performance products, tailor-made mechanical equipment, engineering services and total-managed systems for dust suppression, road stabilisation, erosion control, water and sediment solutions, and carryback reduction. From specific dust suppression solutions for stockpiles, haulage and transfer points through to soil stabiliser aids and moisture absorbents for mines and haul roads, RST customises solutions in response to unique challenges faced by a mine’s plant to port operations. RST operations and technical director David Handel says fine particles consistently cause so many varying problems for mine operators that a holistic approach needs to be undertaken to solve a whole range of issues – many unique to individual mine sites. “Fine particles become dust when dry, sediment or mud when wet, and are responsible for a wide variety of erosion challenges including road and foundation instability,” he said. “Without proper treatment, haul roads will deteriorate because of problematic swelling and shrinkage due to the characteristics of water, causing multiple material handling issues such as stickiness. “After significant time researching and developing our range of solutions for mine operations, we are now embarking on an expansion program through the complete materials supply chain. “Our Plant to Port material handling solutions address the production of excessive fine particles from the mining process upstream through to haulage and transfer stations. “Operational challenges and environmental conditions are different for every mine site, which is why we customise our products and packages to suit different mine requirements for materials handling, often including mechanical devices for distribution of our products. RST goes out into the field to identify the unique challenges faced by a mine’s plant to port operations, then selects products from a broad range of solutions to provide the most cost-effective and efficient plan to obtain the highest level of operational optimisation for the mine site. When assessing the issues, RST takes into account a client’s individual client KPI’s, project site conditions, EPA regulations, and health and safety when recommending a solution. Three decades of extensive research and development of formulas and customised mechanical equipment for a broad range of mine site issues gives RST the expertise and knowledge to provide mine operators with cost-effective and environmentally-friendly solutions, across a whole range of fine particle issues from plant to port. Release-It – a release agent for the reduction of carryback in haul trucks, rail cars and other mining equipment that is environmentally safe. RT4 Superskin – a unique solution that is added to water and sprayed on to materials to coat with a flexible skin/crust that eliminates dust when transporting in rail wagons and trucks. RT5 Superskin – a crusting agent that is added to water and sprayed on to stockpiles and exposed ground to bind up all fine particles. RT60 Spray Plus – a wetting agent that changes the characteristics of water for greater penetration, saturation and coverage. Hi-Foam – a dust suppressant that converts water and air into foam to treat crushed material at transfer points and crushing operations with a reduced amount of water. RST operations and technical director David Handel LR.